“Dare to Dream” is now available in print for a LIMITED TIME ONLY! I have done one short print run and copies are selling fast, so be in quick to order yours! 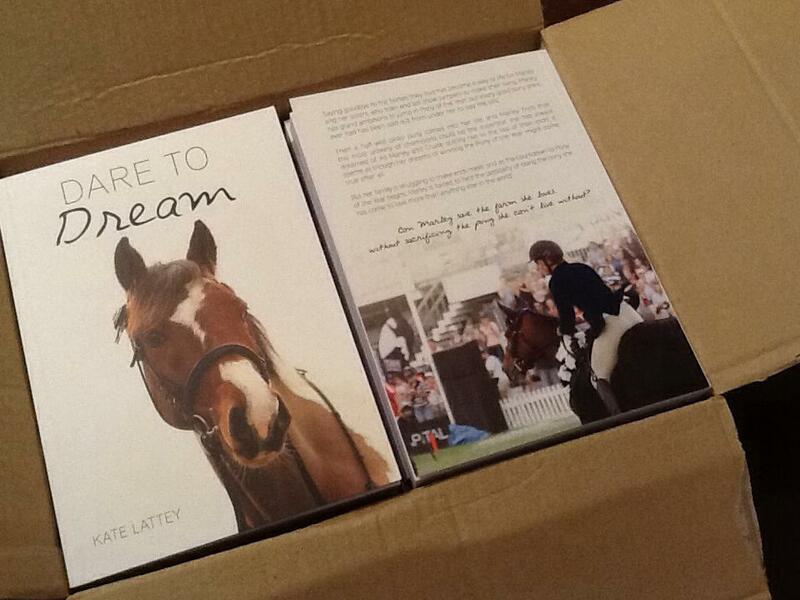 Email nzponywriter@gmail.com to place your order. Ships within NZ only (sorry but postage rates are insane). “Saying goodbye to the horses they love has become a way of life for Marley and her sisters, who train and sell show jumpers to make their living. Marley has grand ambitions to jump in Pony of the Year, but every good pony she’s ever had has been sold out from under her to pay the bills. Then a half-wild pinto pony comes into her life and Marley knows that he could be the superstar she has always dreamed of. As Marley and Cruise quickly rise to the top of their sport, it seems as though her dreams of winning the Pony of the Year might come true after all. Next Post EXCITING NEW REVIEW FOR “DARE TO DREAM”!